This is with the slide having travelled fully “up”. Eventually I will remount the QCTP on a 2/3’s gang plate which will allow me to move it up some. 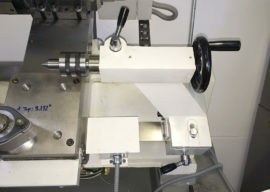 Many lathes don’t have a tailstock, especially gang lathes of similar size and class to the Tormach. So why spend the money on a tailstock like this one? 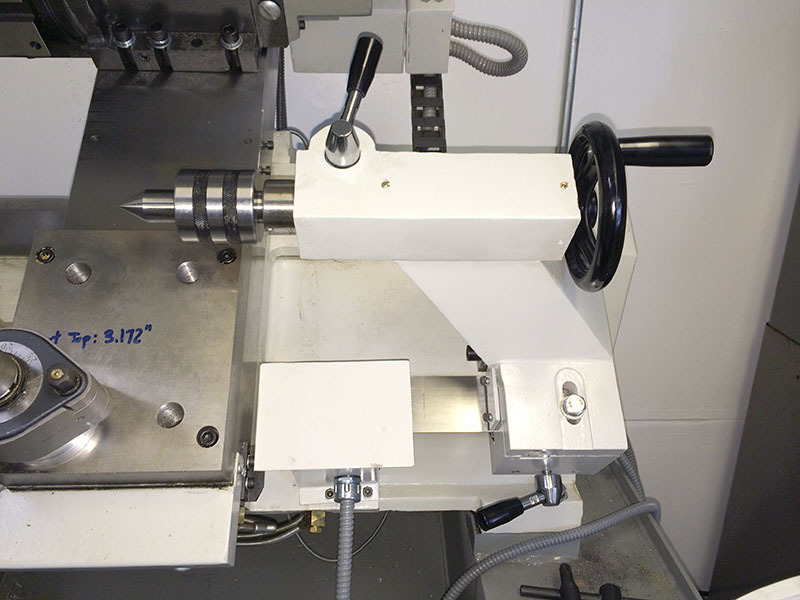 The short answer is that a tailstock gives this lathe tremendously more flexibility–it’s a real asset. Haas has just put out a great video on tailstock fundamentals which we’ll show in a minute, but let me just run down the basics of tailstocks for you here. 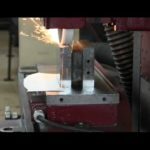 First thing is, when should you use a tailstock? 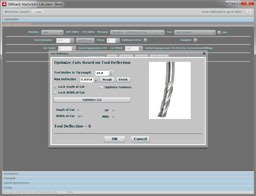 The answer is a function of deflection and comes from your part’s length to diameter ratio. 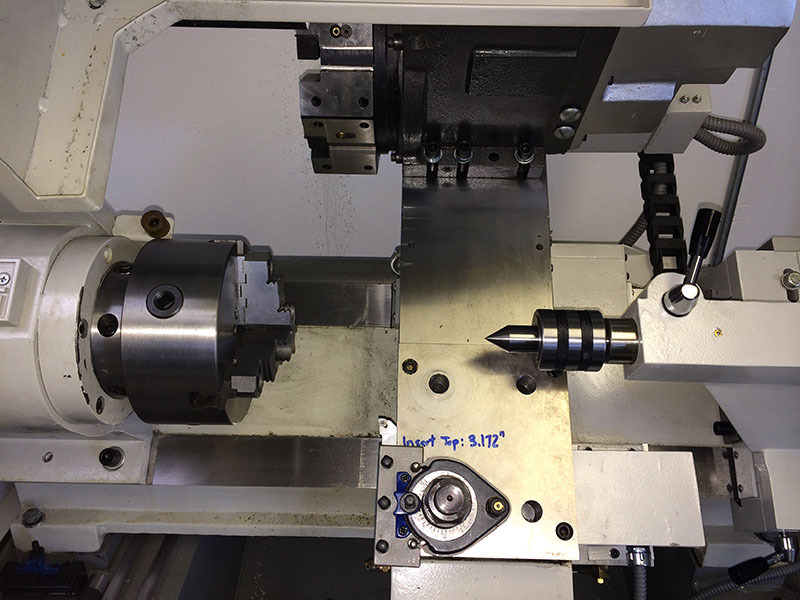 Imagine a piece of 1″ bar stock in the chuck. 3″ are sticking out unsupported past the jaws. That’s the maximum amount of stock you should attempt to cut without a tailstock–a 3:1 length to diameter ratio. I find this easiest to remember thinking about the guidelines for boring bars. 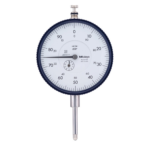 HSS boring bars should not extend more than 3 or 4:1 their diameter into the bore lest they deflect too much. What’s so bad about a little deflection, anyway? Well, for one thing, it makes your turning inaccurate–the deflection will leave you with a tapered shaft instead of a nice cylinder. Now you could probably take some test cuts and figure out exactly how much to compensate for that taper and possibly get the work done anyway. Heck, I might even be able to calculate all of that in advance with G-Wizard Calculator. But you’re still not going to be satisfied because your surface finish will not be as good if the shaft has more than a 3:1 length to diameter ratio and is not supported by a tailstock. All that deflection is an open invitation for chatter to come right in and muck up your surface finish, even if you do manager to overcome the taper problem. The Haas video has some nice back to back turning examples that show this well. If you think about it, there’s a lot of parts that can be made with a 3:1 allowance without a tailstock. But equally, there are a lot of long spindly sorts of parts that cannot be made. Our Machinist’s Hammer project, which I will be continuing shortly, has a lot of parts in the handle and neck that are more than 3:1. Hence I was waiting for the Tormach Tailstock to come along before continuing on that project. So, all in all I am very happy with my new Tormach Tailstock. As we’ve learned, it adds a lot of flexibility to the lathe in terms of the types of parts it can handle. It’s convenient to leave it on the machine once dialed in, because any part long enough to get in the way needs a tailstock anyway. One note to gang lathe enthusiasts–you’re out of luck for tailstocks as the gang tooling will run right into the tailstock. If I ever choose to load up the 2/3’s gang plate on the lathe, I’ll need to remove the Tailstock first. This is not a big deal as the Tailstock is easy to install and remove. Have you encountered many tailstock/turret clearance issues? Is it worth working around the clearance issues in order to have a tailstock? I will be working with parts that have up to a 5:1 L:D ratio, and I know I would much prefer to use a tailstock. Any suggestions you might have, or videos you could share would be appreciated. The problem is there’s so little room to work because the tailstock is large. It can be done, but not clear exactly how much room you will have, and you greatly increase the chance of collision. To date, I have not used the tailstock with the turret except once. My thought is to look into a box cutter for work requiring a tailstock. I am also dreaming up some possible software solutions, but can’t say much about that yet. 1. Per Tormach, the tail stock isn’t compatible with gang tooling, and it’s not “recommended” with a turret. Does that mean the only logical use for the tailstock is with a quick change tool post–or is there another option? 2. I really like your idea for the box cutter. Admittedly, I’m new to machining, so I’m unfamiliar with this tool (until I found some videos on them online). My second question is, would this need to be mounted via QCTP, or do you think I could find a Tormach-turret-compatible box cutter? Again, thanks for taking the time to respond. I’m learning more every day. 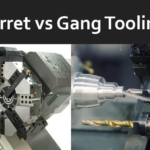 With a tailstock, your only choices are turret or QCTP.